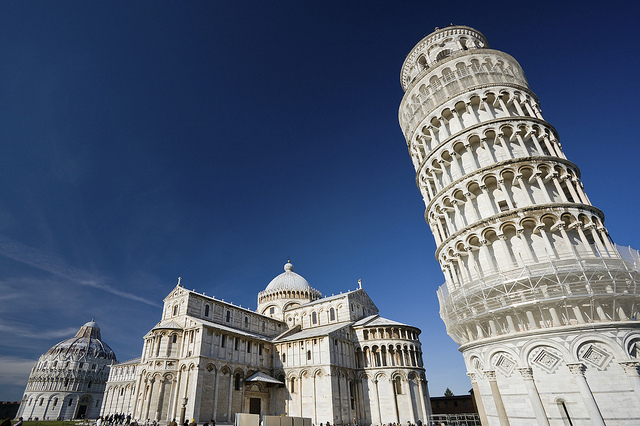 The origins of Pisa remained a mystery until some archaeological remains from the 5th century BC proved the existence of a city at sea, trading with Greece and Gaul. Moreover, in 1991, the presence of a necropolis unearthed during excavations in the Arena Garibaldi confirmed the city was an Etruscan settlement. In 180 BC, Pisa became a Roman colony known as Portus Pisanus (remember that it was originally a seaside town, the shore moved west due to the alluviums of the Arno and Serchio rivers); about one century later, it was converted into a municipium and Emperor Augustus changed the name to Julia Obsequens. Pisa survived the fall of the Roman Empire and became the main trading center of the upper Tyrrhenian Sea; in the 11th century, it gained fame as one of the four main Italian Maritime Republics and underwent a period of expansion that lasted until 1284, when its fleet was dramatically defeated by the Genoese squadron at the Battle of Meloria. 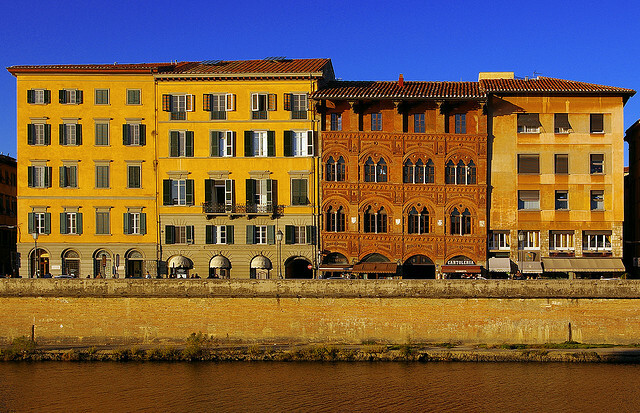 At the beginning of the 15th century, the city was occupied by the Florentines and after almost a century of sieges and battles (in the meantime, Livorno had become the major port of Tuscany) it definitively fell under the rule of Florence and followed the destiny of the Grand Duchy of Tuscany. 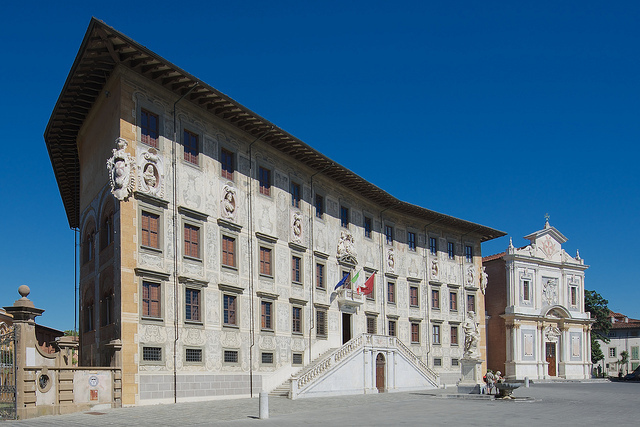 the Palazzo della Carovana, the Church of the Knights of the Holy and Military Order of St. Stephen and the Clock Palace. 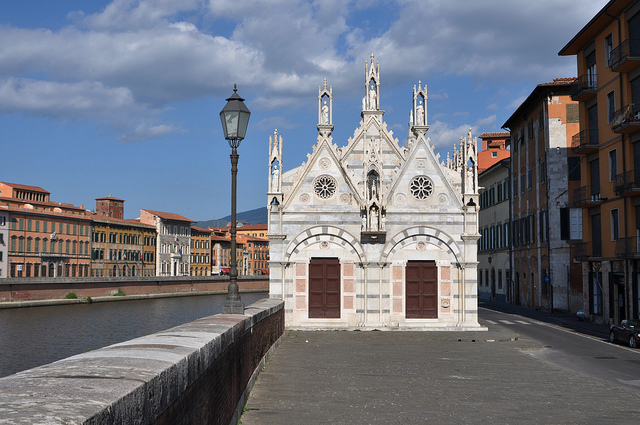 Don't miss the Gothic Church of Santa Maria della Spina: besides being beautiful, it is considered one of Europe's most remarkable examples of Gothic architecture. 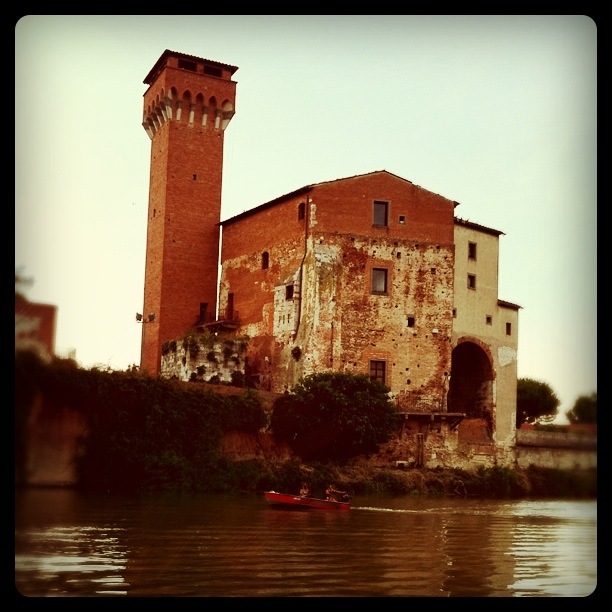 Take a stroll beneath the Borgo Stretto Medieval arcades and look for the Church of San Michele in Borgo and two other less famous leaning towers: the first one is situated at the southern end of Via Santa Maria, the second halfway through the Piagge riverside promenade. Should you like to take a rest far from the tourist routes, head towards the Giardino Scotto, a splendid public garden located near the new Citadel. 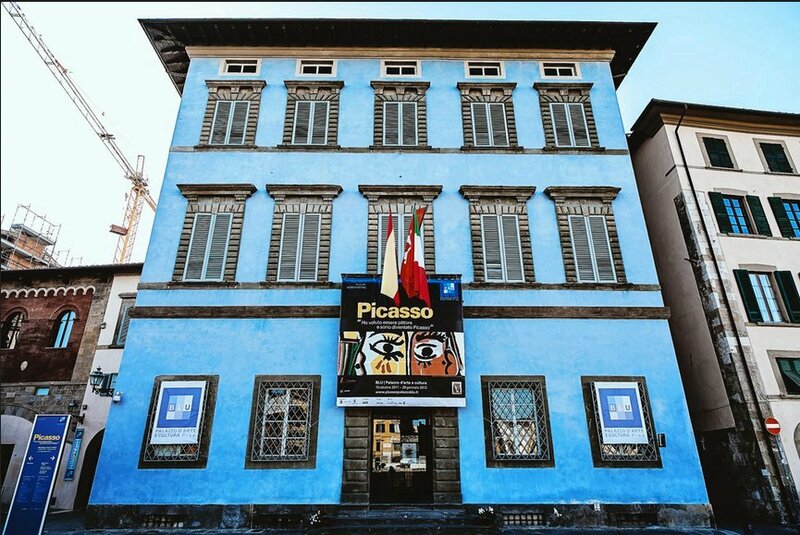 Don't forget to check the Palazzo BLU exhibition schedule: besides the permanent collection, the museum holds extraordinary temporary exhibits. 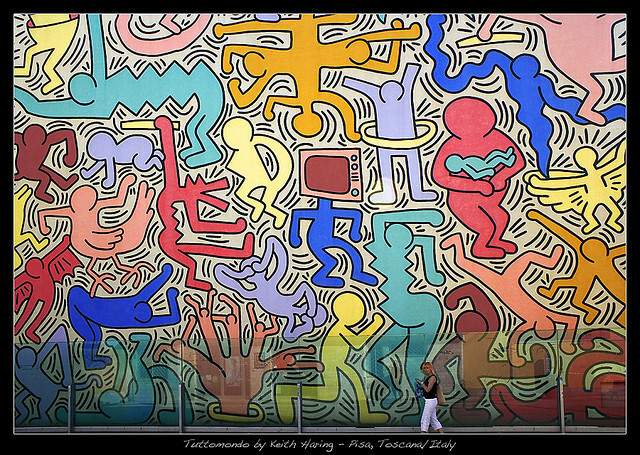 In June 1989, Keith Haring painted his last public work in Pisa, on the rear wall of the Church of Sant'Antonio Abate; this huge, colorful mural is called “Tuttomondo” and is located 2 minutes walk from Pisa Centrale Railway Station. 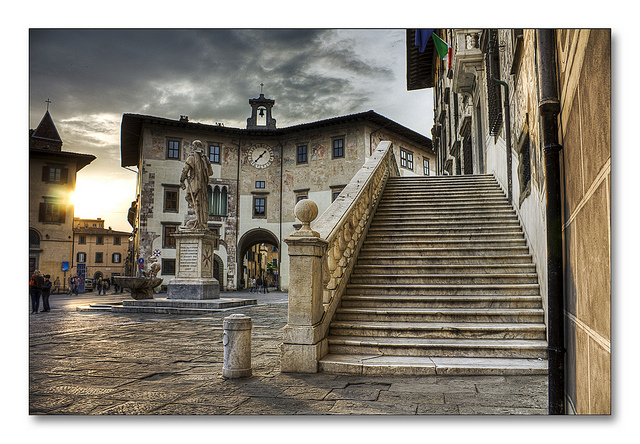 Would you like to climb all the steps up to the top of the Leaning Tower without waiting and queuing? 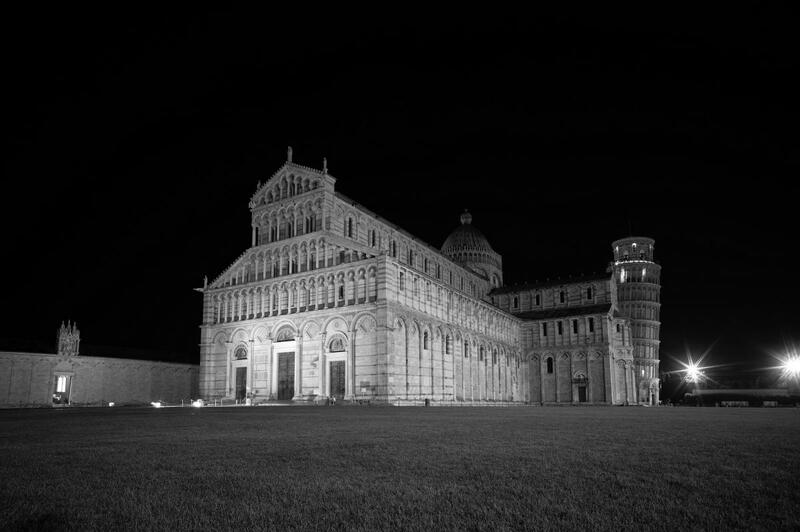 Contact www.ciaoflorence.it for details and book their group tour to Pisa and the leaning tower!